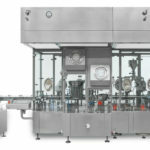 Liquid filling machines for vials, syringes, ampoules, cartridges and pens. 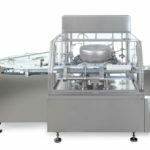 Rotary washing machines, depyogenating tunnels, capping machines. 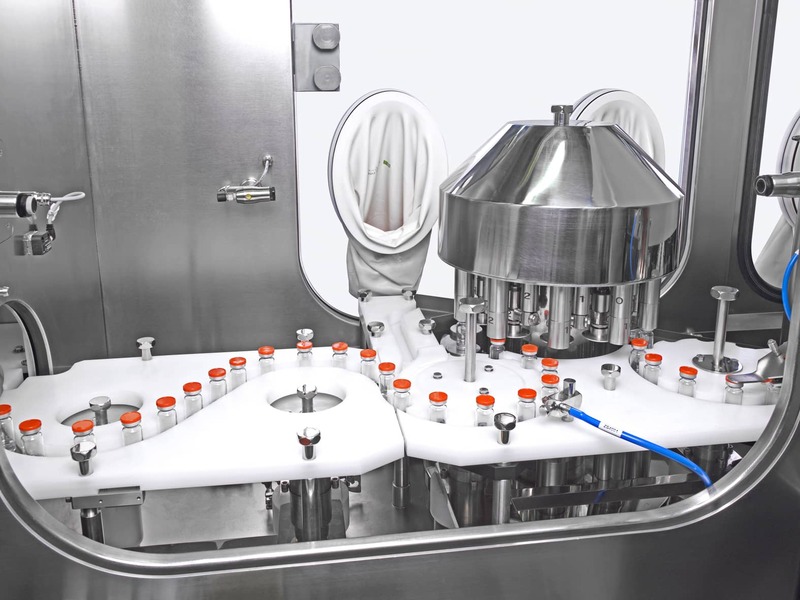 Self-produced isolators and RABS systems (cRABS and oRABS). 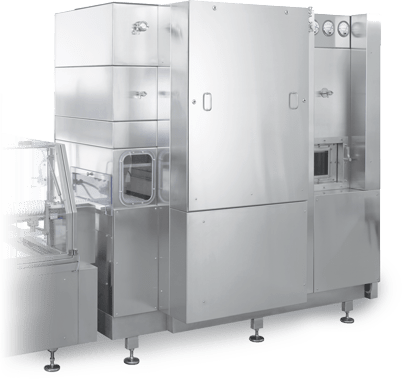 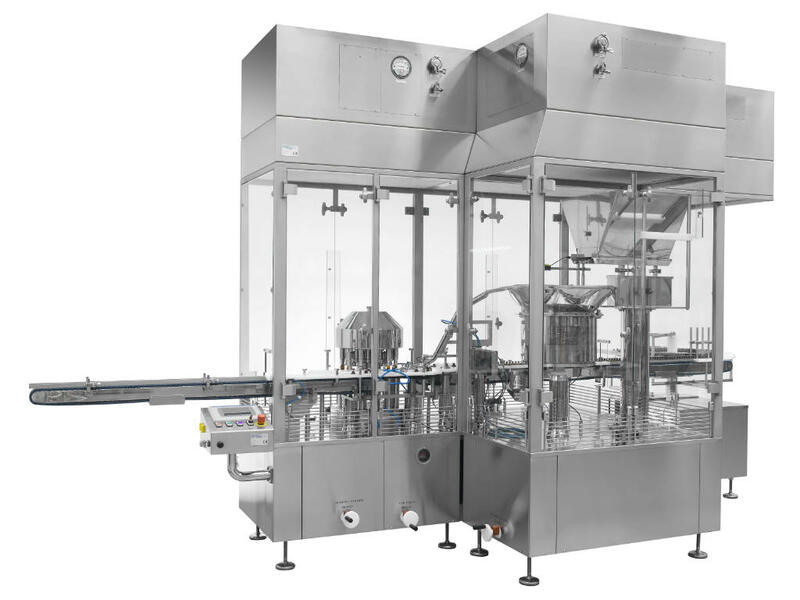 STERILINE has newly developed a new design for small sterile processing lines which integrate the following: STC compact tunnel, RA compact washer, and VFM liquid vial filling machine. 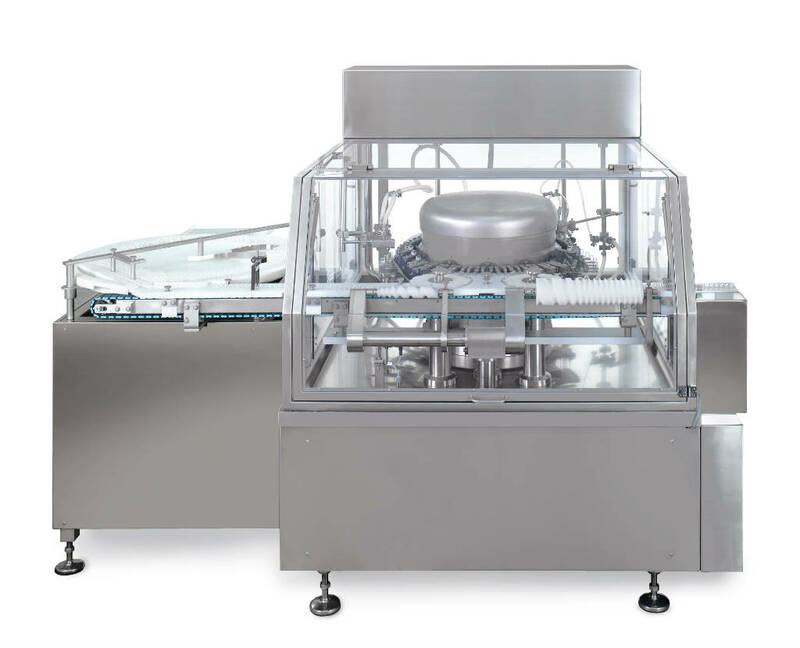 The filling machine VFM includes a small feeding table, allowing for the best linear design. 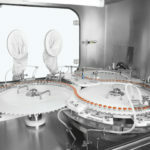 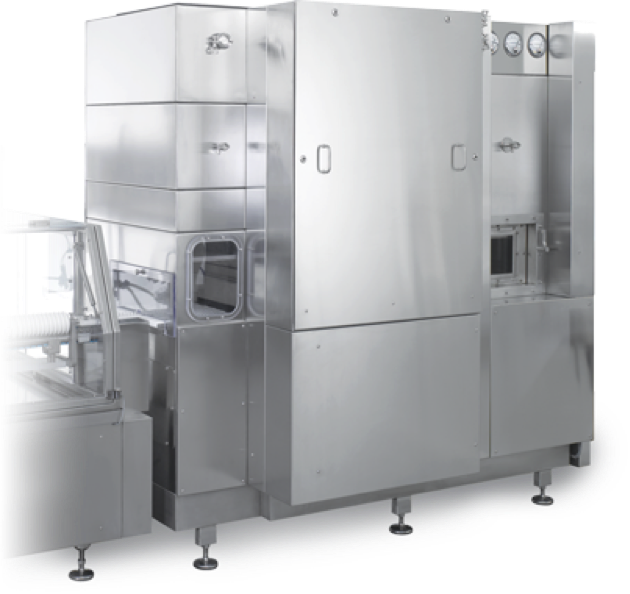 STERILINE COMPACT LINES at the moment represent the ideal solution for R&D, Clinical Trials, Bio-Tech and pilot scale production. 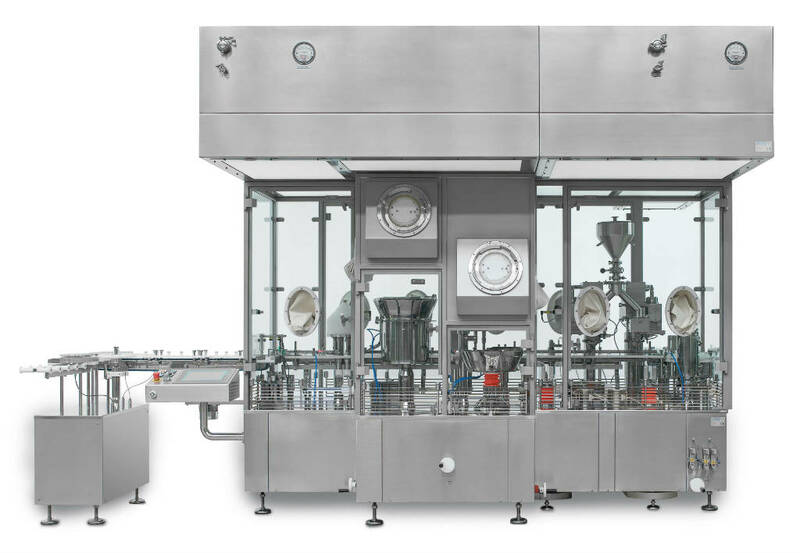 Effortless change of format parts, easy use, reduced power and increased utilities efficiency combined together make STERILINE COMPACT LINES cost effective during daily operation. 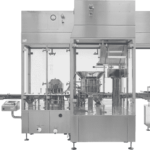 The compact design also makes the difference in many applications, especially if cRABS or ISOLATORS are needed. 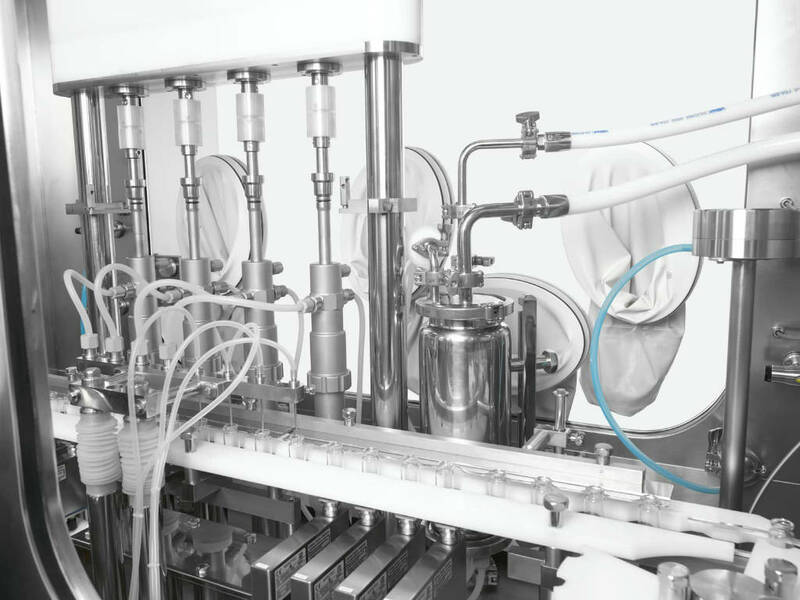 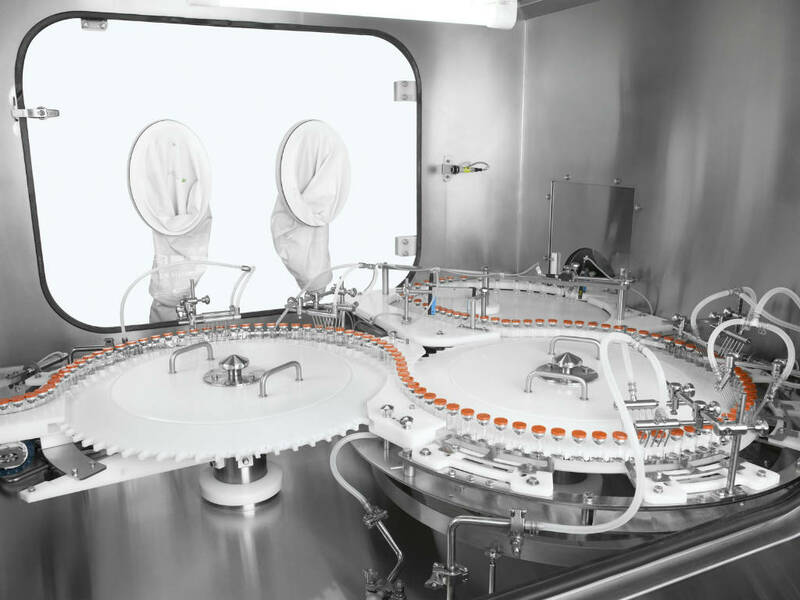 STERILINE COMPACT LINES include a range of capacities up to 100 vial/min. 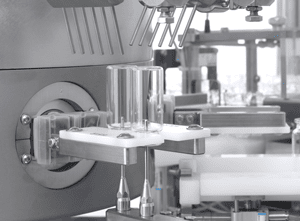 and embrace an integrated control system with PLC and synoptic HMI display. 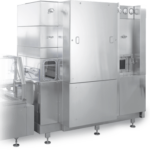 All STERILINE COMPACT LINES answer the requirements of cGMP, GAMP and 21CFR Part11. 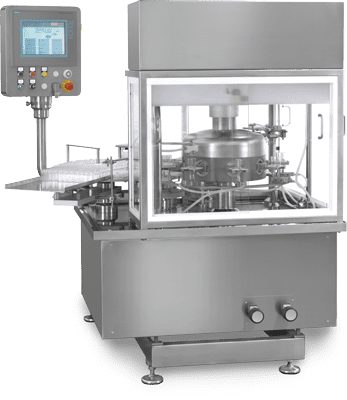 The rotary washing machines RA series of Steriline are designed to process containers with a capacity up to 9.000 pcs/h using intermittent motion. 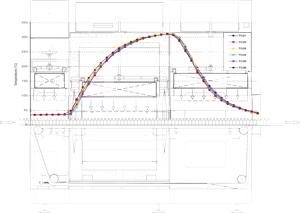 All parts in contact with the interior of the containers and process fluids are made of AISI 316L stainless steel. 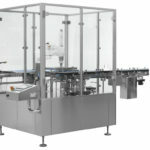 Other parts, such as the frame, shafts, and bearings are made of AISI 304 stainless steel. 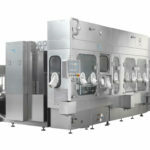 The washing cycle can include recycled water, ultrasonic bath, new water, siliconization, compressed air, hot air drying and other options as required. 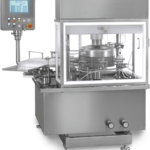 Pressure and temperature of the various fluids are observed to ensure constant performances. 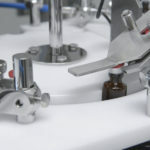 Vials are processed in unidirectional way, avoiding any potential contamination. 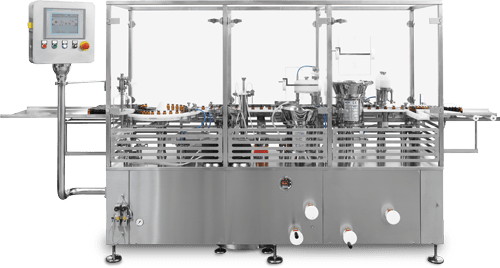 The integrated control system, which includes PLC and HMI, automatically controls all the functional parameters of the machine, in accordance with the various glassware size and type. 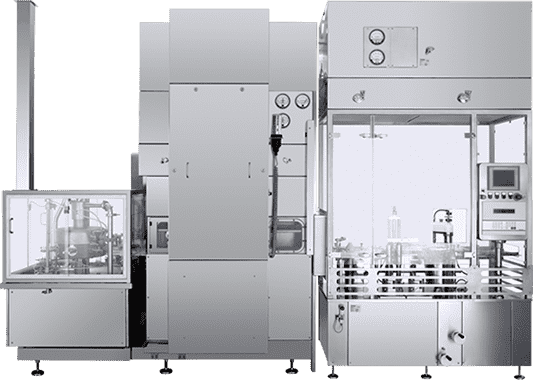 Parameter data are stored in different recipes, which are password protected and accessible only by supervisor and authorized personnel. 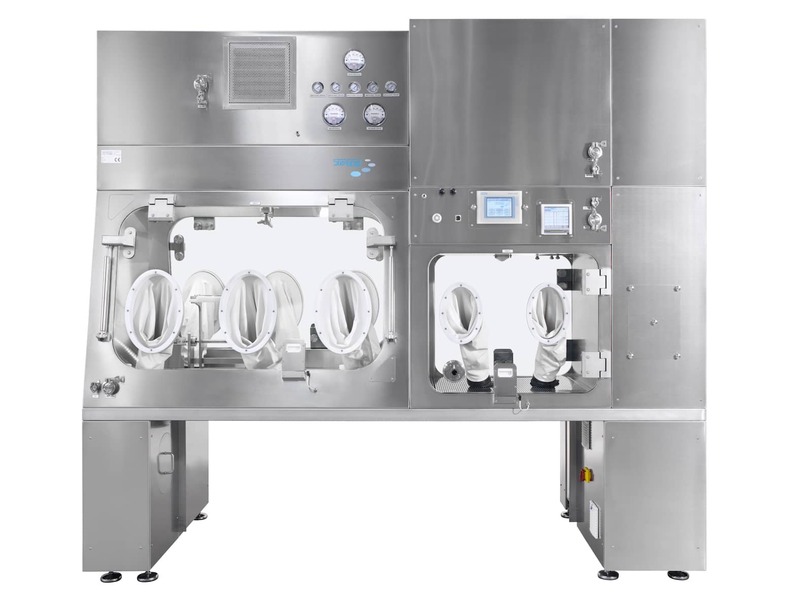 These RA washing machines with our Compact Sterilizing Tunnel are the ideal solution for Clinical Manufacturing, Laboratory and for R&D application, thanks to their advanced compact design. 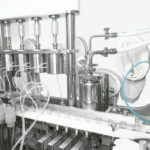 STERILINE offers a wide range of depyrogenating tunnels appropriate for any production requirement. 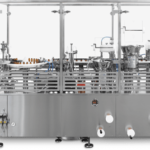 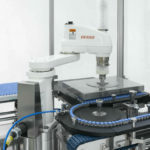 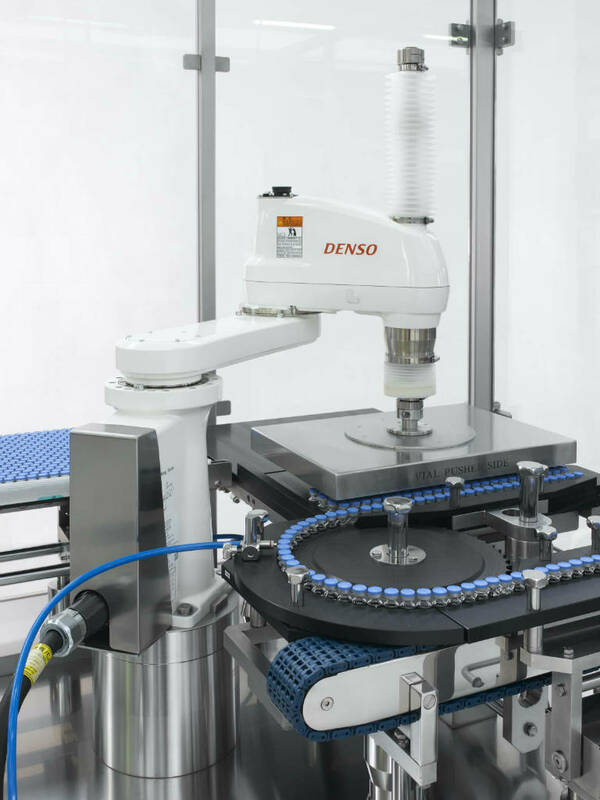 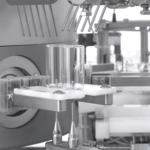 The models feature a variety of production capabilities for processing ampoules, carpoules, vials and syringes. 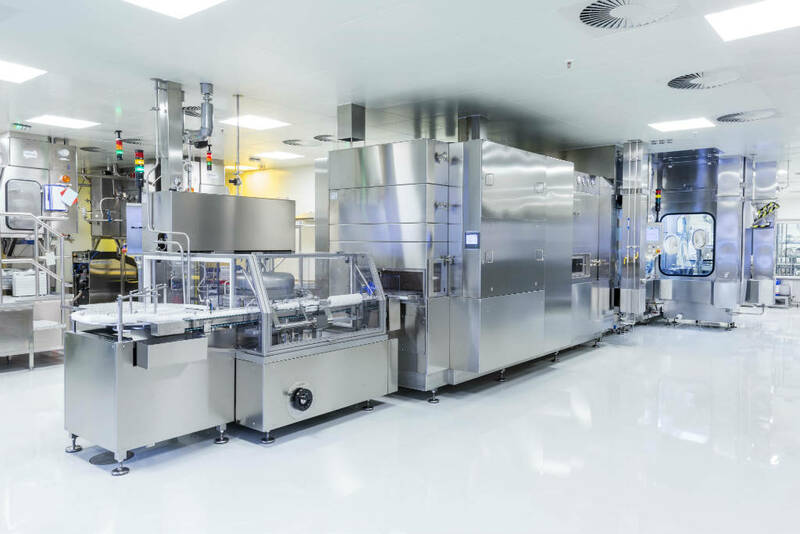 The ST series cover the entire range of needs from our very compact tunnels to our biggest models for very high speed production. 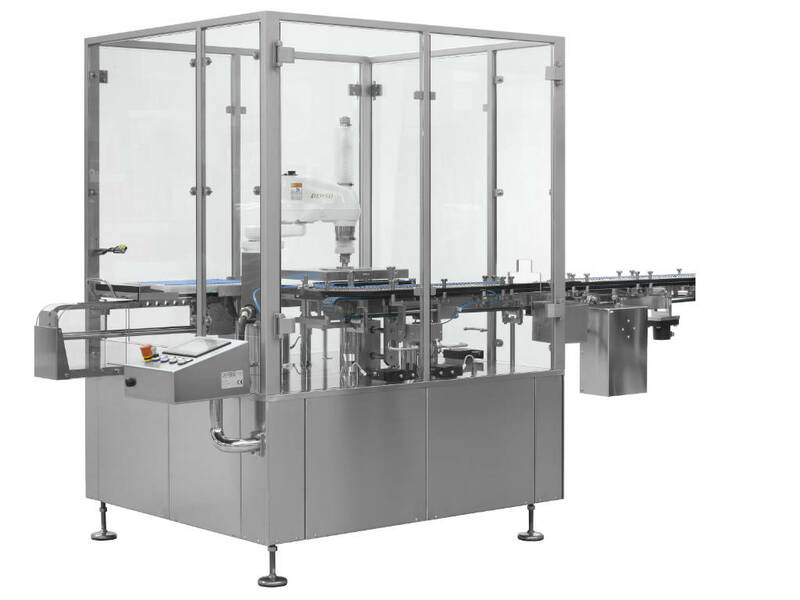 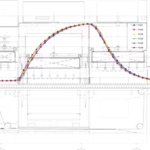 Our ST series depyrogenating tunnels have been designed to sterilize and to depyrogenize glass containers with a continuous process, maintaining an ISO5 environment throughout the length of the three chambers: inlet chamber, hot chamber, cooling chamber. 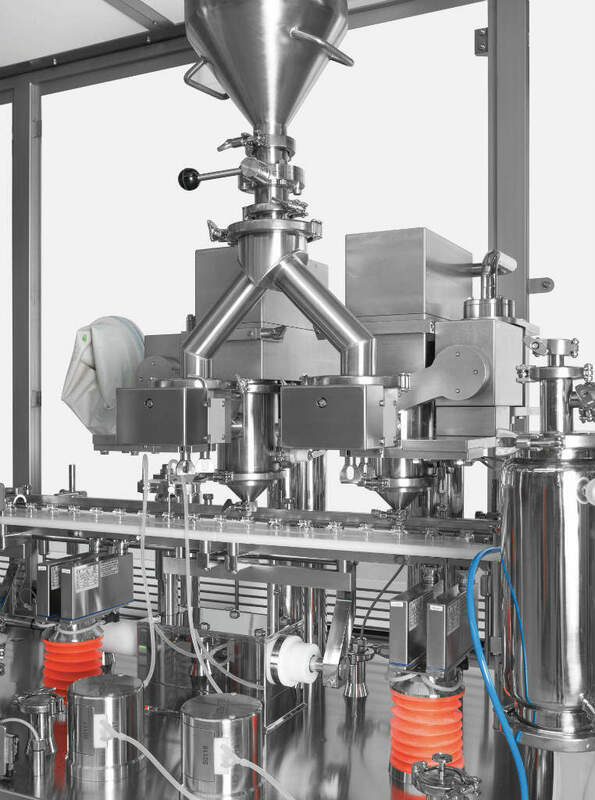 The thermal cycle is designed to ensure a pyrogens reduction of 3 or 6 log, minimum. 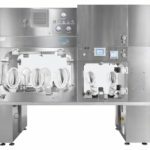 Sterilization of the cooling chamber, closed tunnel and automatic air balance are only a few of the various tunnels functions. 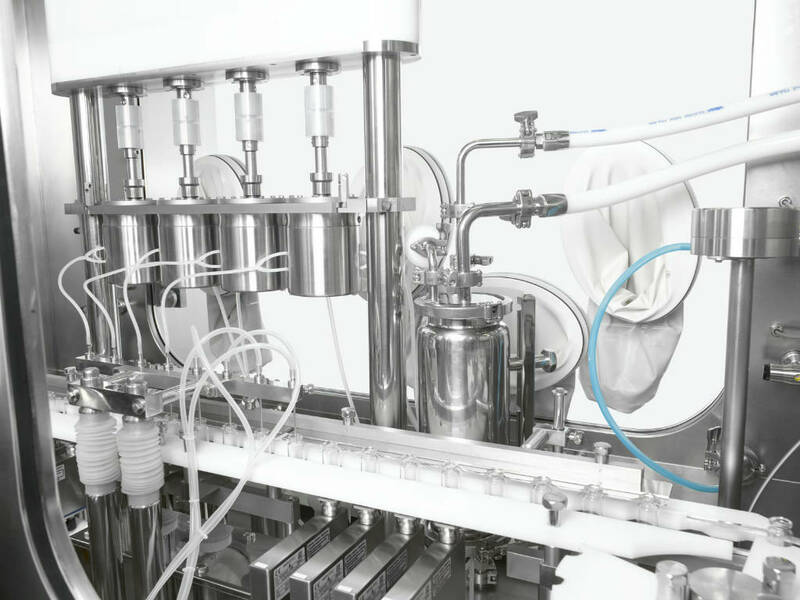 All Steriline tunnels meet cGMP, GAMP and 21CFR Part11 standards. 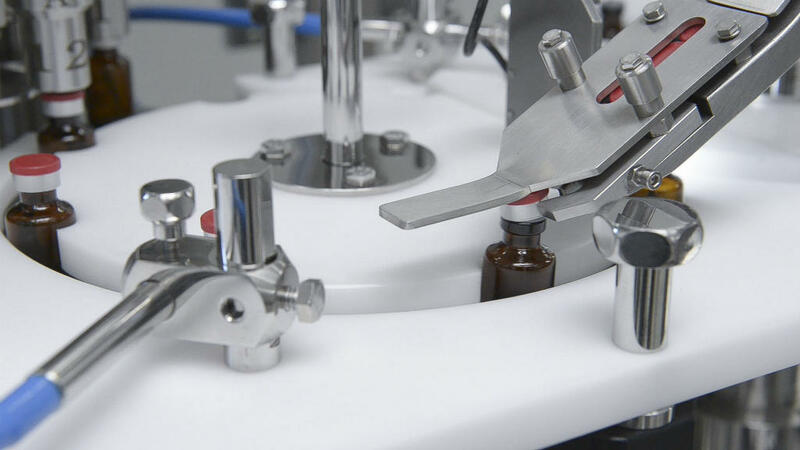 Capping station designed to reduce particle generation, by rotating the vials under the blades. 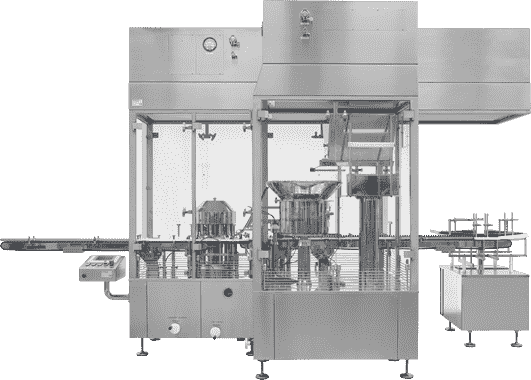 Possibility of ampoules closing station. 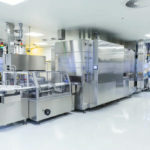 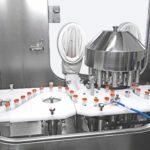 All Steriline filling machines are in compliance with cGMP, GAMP and 21CFR Part11 requirements. 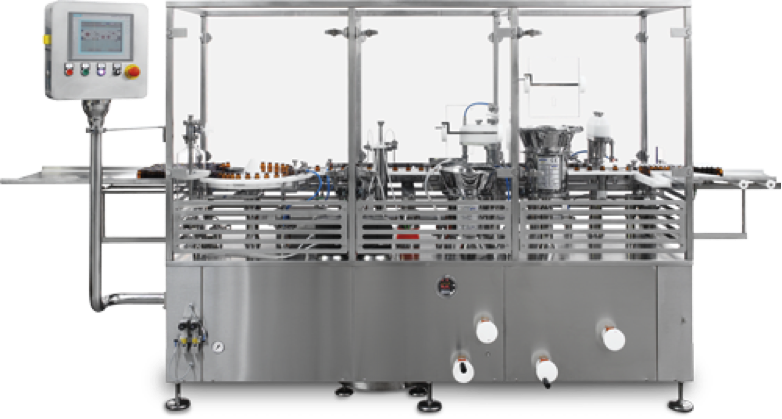 Steriline decontaminating machines are designed to clean the external surface of vials and ampoules with a capacity up to 48.000 pcs/h. 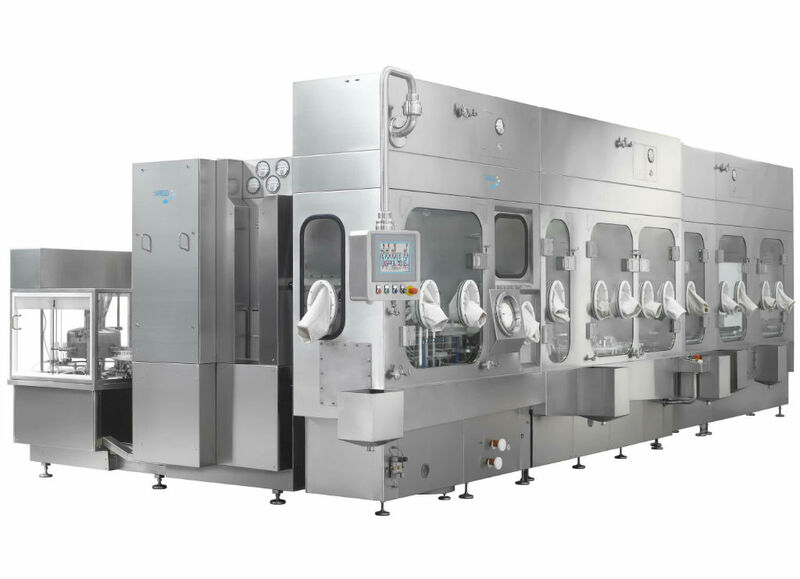 Purified water, W.F.I., detergent and detergent mixtures are media options used for surface decontamination. 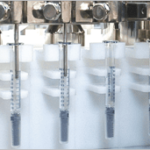 Compressed air dries the decontaminated ampoules and vials. 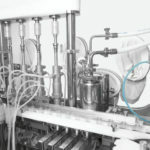 The washing fluids spraying nozzles are specifically designed and contoured to avoid process fluid introduction at the seal level. 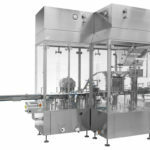 The compressed air blowing nozzles remove the residual washing fluids from the outer glass surfaces. 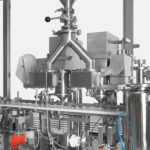 Changeover parts consist only of star wheels, infeed and outfeed guides. 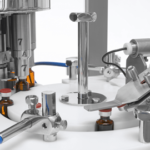 Nozzles are adjustable. 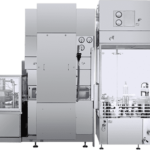 All Steriline decontaminating machines are in compliance with cGMP, GAMP and 21CFR Part11 requirements.